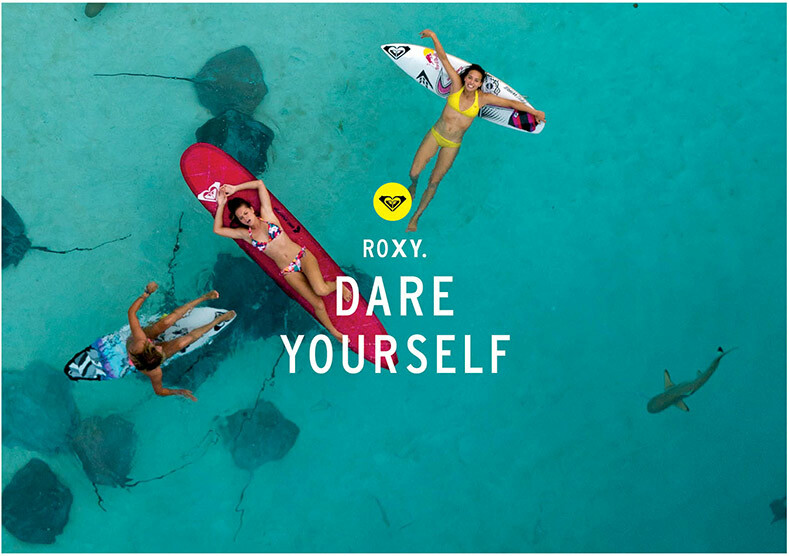 Hi everybody, so have you heard about the roxy girl dare yourself campaign? I'm sure you have heard of it because it's all over facebook, twitter and ofcourse if you read my blog, I posted it not too long ago. It is about daring yourself doing something you can't imagine yourself doing, eg: swmming with the sharks, jump off a cliff, climb the mount everest... etc. You yourself too can join this campaign by uploading a picture of yourself and write a post about how do you dare yourself, it will be an amazing experience I swear! 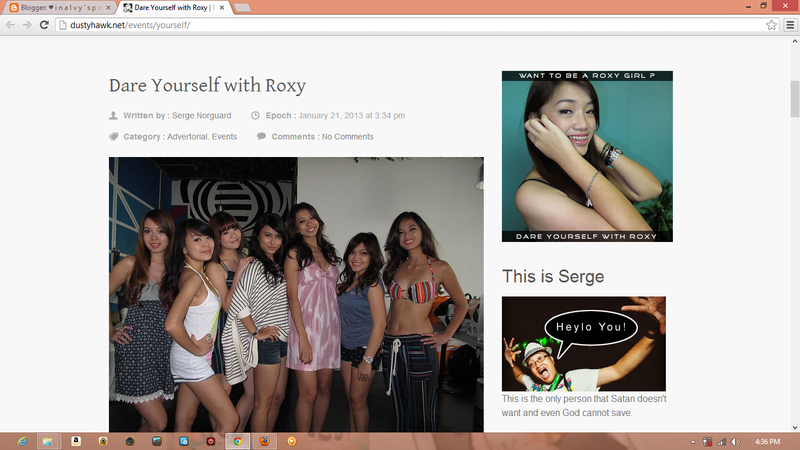 And also I spot myself in Serge's blog, read up to his blog and click my FACE to know more about Roxy Dare Yourself Campaign. 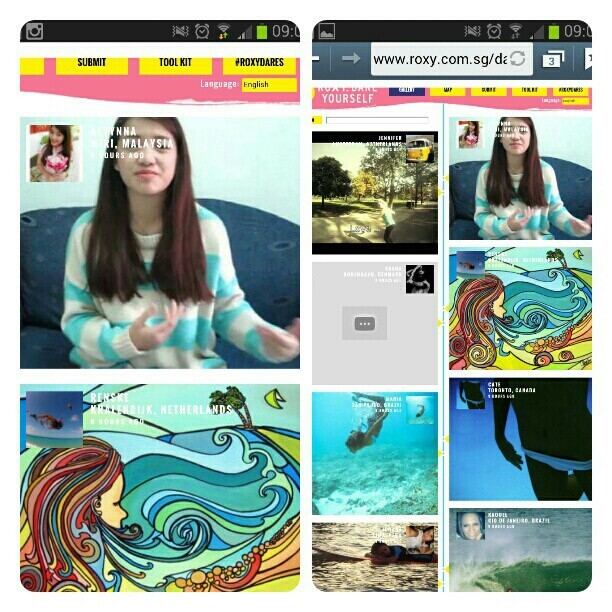 HAHAHA, what a way to promoting me. I look terrible there, dont ask me why I was baked from the ride from my school to roxy roadshow. So here's how you can help me! 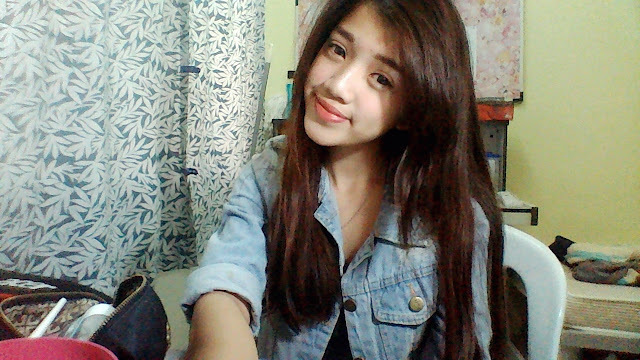 3.Search for my name, "Alvynna"
So here's my video, I know my video was pretty normal compared to other participants, haha others was over the top, but then again thanks Serge for doing the simple shoot for me when I'm that terrible infront of the camera. 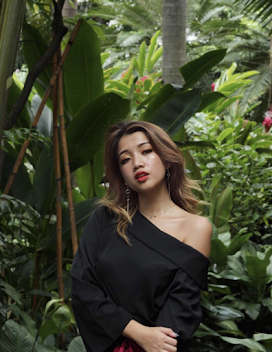 It was a spontaneous shoot and I was nervous, shy and tired because I just finished my Chinese New Year's photoshoot lol that day. So that's all, don't forget to vote for me! thanks lovelies!